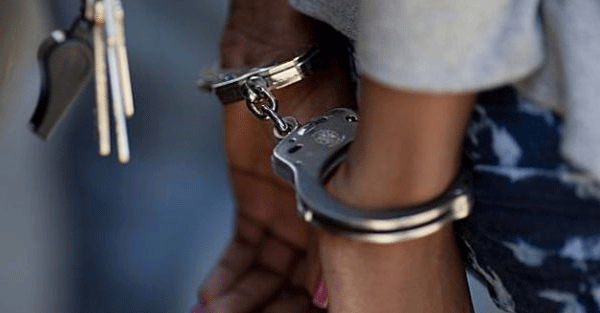 Police in Ruhango District are holding one Marie Chantal Mukeshima a cashier at a local savings and credit cooperative on charges of fraud and soliciting bribes from clients. Mukeshimana’s arrest on March 11 came after some SACCO members refused to stomach her habitual bribery requests and decided to report her to police. According to the Southern Region Police spokesperson, Chief Inspector of Police (CIP) Emmanuel Kayigi, Police received information that financially disadvantaged people in Ntongwe Sector, who were receiving financial support from Government were illegally being charged Rwf2000 every time they made a transaction at the SACCO branch. “Each of the victims was supposed to receive Rwf30, 000 but Mukeshima was allegedly giving them only Rwf28, 000, and charging every beneficiary Rwf2, 000,” CIP Kayigi said. “Police immediately started investigation that led to the arrest of Mukeshimana who was caught red-handed after committing the same crime from three beneficiaries,” he added. “We have opened a case file against her as investigations proceed to establish how much money she actually took from the unsuspecting victims,” said CIP Kayigi. Some of the victims were apparently not aware that they were being cheated as she would tell them that the Rwf2, 000 were the legal transaction charges. Mukeshimana risks being charged under article 642 of the people code, which stipulates that, any employee who knowingly demands undue money or receives an excessive amount of money for a service fee, revenue, tax, fine, security, interests, benefits or salaries of employees, shall be liable to a term of imprisonment of two to five years and a fine of twice to ten times the value of the illegally received benefit.